Jordan Retro 8 "Bugs Bunny" Release details and locations. 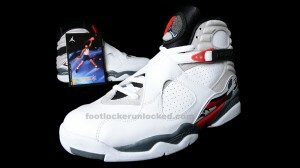 Foot locker has posted their ticket procedure for the Jordan Retro 8 Bugs Bunny release on April 20th 2013. Also worth noting, the Retro Card insert will make a return as well. Being almost 4 years since the last retro card, this is sure to increase the hype surrounding this classic re-release.